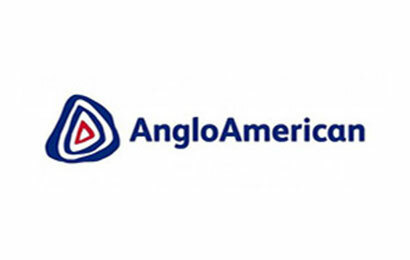 In partnership with Edge Growth, Anglo American Thermal Coal (AATC) is piloting a Supplier Development Program (SDP) that aligns to the Group’s philosophy of uplifting the host communities within which they operate. The local procurement program is an important strategic intervention that delivers multiple benefits. Not only does it improve and expands local SMMEs’ capabilities and competitiveness, thus benefitting the local economy, but it is also crucial to securing and maintaining AATC’s right to mine, contributing positively towards positioning AATC as a proactive corporate citizen in meeting specific targets as set out in the Mining Charter. The main objectives of the AATC SDP are to improve the standards, skills and capacities of localised HDSA small, medium and micro enterprises (SMMEs), and to enable an initial 30 enterprises to effectively participate as suppliers to 10 AATC operations. Another objective is to improve each enterprise’s chances of supplying other mines, thus reducing dependency on AATC over time. Prior to the program’s commencement, AATC analysed preferential procurement spend across operations to establish the demand for the various goods and services, so as to determine where spend could be increased. The categories identified for increased spend informed which type of SMMEs would be most sought after in this process, and are known as ‘set asides’. Once the demand categories were established, the local supply base of SMMEs was profiled in order to match potential supply to demand. An initial database of approximately 1,200 local SMMEs was compiled from internal databases and external sources. An initial screening exercise resulted in a shortlist of approximately 300 SMMEs, who were invited to Supplier Day presentations held at five locations in Mpumalanga and the Free State. At these days, AATC functions and Edge Growth engaged with the community and educated them about the Supplier Development Program – a process vital to managing community expectations. Through an intensive exercise involving diagnostic testing and site visits, the shortlist was further reduced to approximately 40 SMMEs. The final 30 SMMEs are currently being decided, subject to AATC’s security clearance testing. The final phase of the program will focus on developing each of the 30 selected businesses according to their specific strengths and challenges, with the aim being to successfully conduct business with AATC and other mines in future. The information collected during the course of the program will allow AATC to efficiently roll out future phases should they decide to do so.